Fletcher Moss Rangers have been producing top quality players for some time now. Our very first player to ‘Make the Grade’ was Wes Brown who trialled at Manchester City, only to be told he was not good enough for them. So he went to Manchester United where Sir Alex Ferguson once described Wes as the most natural defender he had seen. He appeared 232 times for United scoring 3 times for them before transfering to Sunderland in 2011. Sir Alex again is quoted as saying it was one of his hardest decisions to make to let him go. So far Wes has played more than 69 times for the ‘Black Cats’ and scored 1. He has played for England 23 times and scored once. The latest player to have made it into the first team at Manchester United is Marcus Rashford. He made his debut in a european game scoring twice. He was a soccer school player as a 5 year old, until he was signed as an under 9 academy player. Each year he has played, he has excelled in his ambition to be the best he can be. 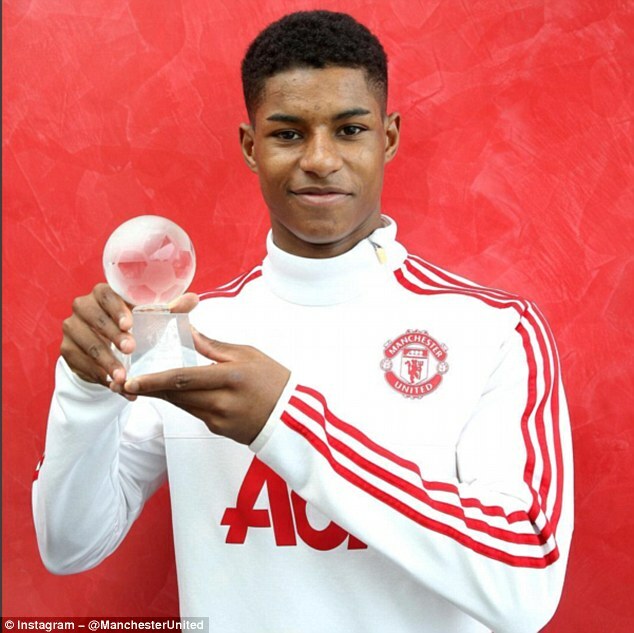 Reece Brown is the youngest brother of Wes and joined Manchester United the age of nine, having previously played for Fletcher Moss Rangers. After making his way through United’s youth teams he was awarded his first professional contract by the club in the summer of 2009. In September 2010, he joined Bradford City on a month’s loan. He spent loan periods at Doncaster Rovers, Oldham Athletic, Coventry City, Ipswich Town, Watford and Carlisle before settling at Bradford City. Reece has played under 19’s and under 20’s football for England. Manchester United supporter Jordi Hiwula was asked to sign for the Manchester City academy as a nine year old and despite working hard to bring their academy much success was loaned out to Yoeville Town in 2014 and later to Walsall in 2015. He was brought back to play against his beloved Manchester United in this years under 21’s league game in an attempt to wrestle away the league from them, only to be on the end of a 4-0 thumping on the night. Although Jordi was on fire that night and could not be faulted for his performance, effort or committment. Playing in the same game for City was another Fletcher Moss Rangers lad, Ashley Smith-Brown is known as a pacey versatile player capable of playing at full-back, wing-back and in midfield , who possesses good positional awareness, tricky feet and has played for Englands under 16’s started for England u18s in their clash with Germany in Rotherham. The Young Lions came from behind to earn a morale-boosting 2-1 win in front over 9,000 passionate supporters. Ashley played all 90 minutes at right back as part of a back line that stood strong to repel several dangerous attacks from their German counterparts. The 3rd Fletcher Moss player to play in the United v City clash in May 2015 was Tyler Blackett who was with Fletcher as a soccer school lad of 5 years old and was taken to United as a 7 year old and has been with them since. He signed professional papers in 2012 and was sent on loan to Blackpool FC where he spent a pretty uneventfull time. Sir Alex called him back and sent him on loan to Birmingham City where he was to cut his teeth on Championship football to toughen him up. Tyler played in the youth cup semi-final against arch rivals Liverpool and was sent of along with the opposition player. The team eventually went down to 9 men but still won trough to the final of the youth cup where they played and beat Chelsea. Tyler has now gone on to sign for Reading. There are few players from a slightly older generation that have played for Fletcher Moss Rangers and have gone on to bigger and better things. Republic of Ireland goalkeeper Kieran Westwood signed for Manchester City in 2002 as an 18 year old and in 2004 went on loan to Oldham Athletic. Keiren found himself surplus to requitrements at City and was transferred to Carlisle. He has also has contracts with Coventry City and Sunderland is now plying his trade for Sheffield Wednesday. Kieran earned 16 international caps playing for the Republic of Ireland. Probably the most exciting player to have broken through the ranks at Fletcher Moss and who was thought of as having the potential of being as good as Messi, was Ravel Morrison. A ccording to Rio Ferdinand and Sir Alex Ferguson they thought he was the best player they had seen at that age. Revel signed on as a first-year scholar in 2009 and turned professional on 2 February 2010. He scored the opening goal against Chelsea’s in the semi-final of the FA Youth Cup which Manchester United went on to win 4–0. England have had his services too, he has earned caps at under 16’s, 17’s, 18’s and 21’s. One of our proudest but also disapointing moments was when Danny Welbeck left Manchester United and signed for Arsenal f or a £12M signing on fee in 2014. Danny had been with the Fletcher Moss Soccer school as a five year old. He would come to watch his brother Wayne play and was always copying his brother. He was taken to the Manchester United academy and had never looked back from that day on. Whilst at United he was sent on loan to Preston North End and Sunderland where he had a succesful period. He has earned caps playing for his country of birth, although he could have played for Ghana he decided to let England have his skills. Playing at 17’s, 18’s, 19’s, 21’s and full internationa l, scoring goals at every level. Danny Webber began his career as a trainee with Manchester United, after being seen playing Sunday football for Fletcher Moss Rangers. He failed to cement a first team place and spent loan spells with Port Vale and Watford before joining Watford on a permanent basis. After two years with Watford, Danny joined Sheffield United for the second half of the 2004–05 season Webber’s goals helped Sheffield United to promotion to the Premier League for 2006–07. Three years later, after scoring 20 goals in 107 league appearances for the Blades. There were two ther players from the same Fletcher Moss Rangers squad that Danny came from Cameron Stewart and Zeki Fryers. Cameron who plays for Ipswich Town. He is played primarily as a winger. He began his career with Manchester United but was unable to break into the first-team, and after loan spells with Yeovil and Hull City , he joined Hull permanently in 2011. After a year at Hull, he fell out of favour and went on successive loan spells to Burnley, Blackburn, Charlton Athletic and Leeds United. He joined Ipswich Town instead. He has also represented England at 17’s, 19’s and 20’s level. Zeki Fryers had a similar start and was highly thought of at Manchester United but failed to take up their offer of a contract in 2012 and signed for Belgian club Standard Liege where he played 7 games for them before being spirited away to Tottenham Hotspurs in the same season. Curiously he only played 7 games for them during season 2013/14 and was transfered to Crystal Palace that year. Zeki has represented England at under 16’s, 17’s and 19’s level. Kyle Bartley had 2 spells with Fletcher Moss Rangers. When the soccer school was based on Fog lane park Kyle used to come and train. Mum and Dad were forced to leave the are due to work committments but when they could, they returned to us. It wasnt long before we had recommended Kyle to Manchester United and after trialling for a while they decided he was not what they were looking for as a player. He was not to be short of admirers and Bolton Wanderers offered him a position at their academy where he stayed until he was 15. Whilst Bolton procrastonated about his future, Arsenal boss Arsne Wenger had been keeping a sharp eye on him and swiftly off ered Kyle a place at Highbury, leaving Bolton with egg on their face. He has captained Arsenal reserves and was also part of the team that won the FA Youth Cup in 2009. Kyle was sent out on loan to Sheffield United & Glasgow Rangers for nearly 2 seasons. In 2012 Swansea City noticed him and signed him on a permanent 3 year deal. Still only young with a desire for first team football he has been sent on loan to Birmingham City where he is making his mark in style. Kyle has represented England at under 16’s and 17’s. Raheem Hanley began his playing carear with Manchester United and was sold to Blackburn Rovers playing in their under 18’s squad and later progessing into the under 21’s. In 2012 he was capped as an under 19 for England, although Raheem could have chosen to play for Jamaica due to his parents n ationality. He debued for England against Estland in a friendly and was on the winning side in a 3 nil result. In January 2014 Raheem was transfered to Swansea, where he plays in their under 21’s squad and is marked for progression to the first team soon. A team mate of Marcus, not just at United either but also at Fletcher Moss Rangers is Cameron Borthwick-Jackson. On 2 May 2016 at the clubs annual award ceremony he won the U21 player of the year award. On 30 May 2016, Borthwick-Jackson signed a new contract with United, keeping him at the club until 2020, with the option to extend for a further year. He is now on loan with Wolverhampton Wanderers.